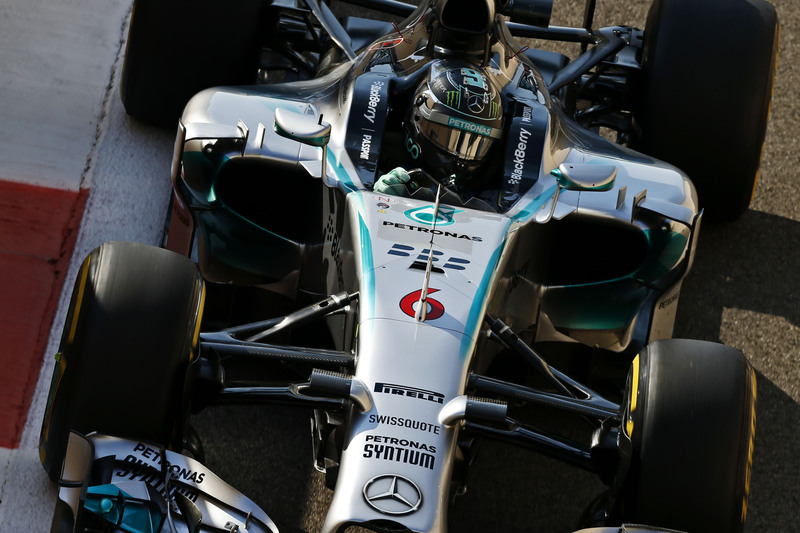 Rosberg was quickest in FP3… © Mercedes AMG Formula 1 Team. Lewis Hamilton headed both of today’s free practices ahead of the 2014 Formula One finale in Abu Dhabi, while Nico Rosberg topped Saturday’s session. The Briton led his Mercedes teammate and title challenger Rosberg in both sessions, with Hamilton securing the peak with a 1:43.476s (FP1) and a 1:42.113s (FP2), although Rosberg fought back come the third session (1:41.424s). During what was a standard and reasonably uneventful series of sessions for the Brackley team, during which they displayed significantly kind tyre preservation, Hamilton took to the front of FP1 with a half-hour remaining in FP1 and then doing the same with one hour left in FP2. Rosberg made the most of the final session, which is often geared toward qualifying set-ups; however a slide during Hamilton’s final run means we will never know if the points leader could have overhauled his rival. On what is generally a low wear circuit, the Pirelli tyres held up under scrutiny, despite the temperature rising as the afternoon wore on. Indeed, Hamilton was able to find performance for three-to-four laps in the Pirelli supersoft tyre – a tyre that was initially thought to only have one lap’s worth of life. The prospect of an interloper splitting the Mercedes battle took a significant dent during both of today’s sessions. Indeed, the closest anyone got to the silver machines was Ferrari’s Fernando Alonso (FP1) and Kevin Magnussen (McLaren) in FP2; however they were 1.71s and 0.78s adrift respectively. For the Spaniard, he set his best on new tyres, while the Silver Arrows took theirs on used Pirelli rubber and while the gaps will conceivably close as the circuit continues to come to life, the chance of a non-Mercedes runner getting in between the contenders is incredibly slim. 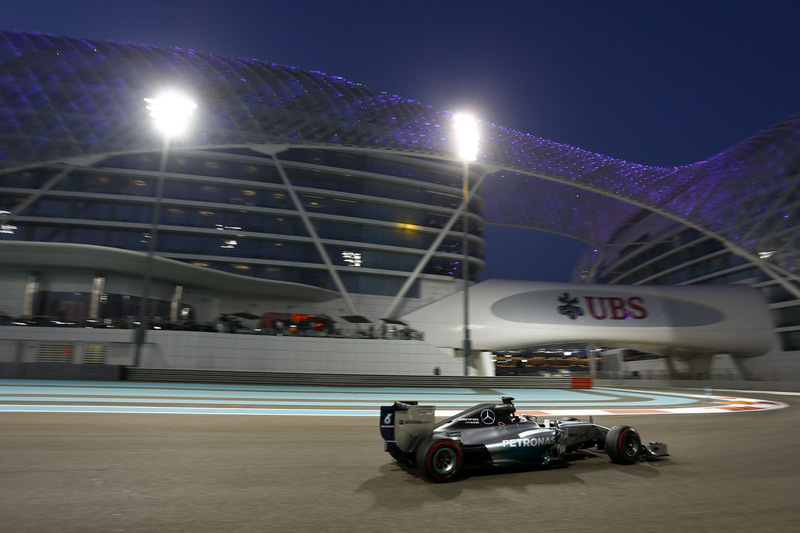 …while Hamilton topped the Friday sessions. © Mercedes AMG Formula 1 Team.